In the November Issue of KBCHRONICLE, The VORTEX is featured and they talk about how much they love it and how easy it is to use. Take some time and read the article here. The VORTEX is taking the world by storm.We are appearing in High Times and CC Magazine soon. Watch for more updates and check out new videos on our web site this month. 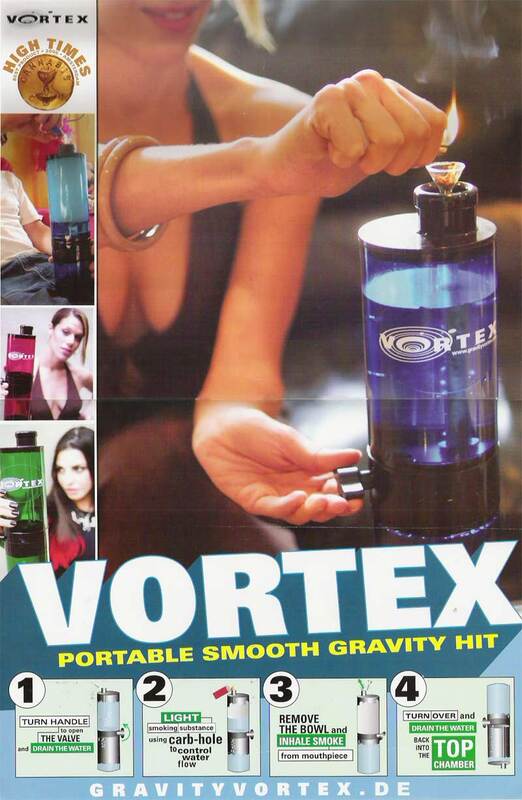 The VORTEX is available throughout the US, Canada and Europe. If you do not see it at your local shop, we need you to tell them how cool The VORTEX is and how they need to have it. HEY YOU! WE NEED YOUR PHOTOS AND VIDEOS! The VORTEX is a social smoking device, so we want to see you and your VORTEX in action. Take some footage the next time the VORTEX is in action. Send it to us and we'll add it to the new web site that will be out November 1st. Thanks to everyone who has sent videos and pictures in so far, they are awesome! GRAVITY VORTEX has changed smoking forever. This revolutionary device harnesses the power of gravity to produce a thick cloud of smoke from any tobacco-based substance. The Gravity Vortex’s patented design filters smoke through two chambers of water, creating an incredible smoking experience. Its durable body is perfect for parties, dorm rooms or outdoor adventures. You'll love this easy to use portable smoking device. The Gravity VORTEX is the world's newest and most powerful way to smoke. 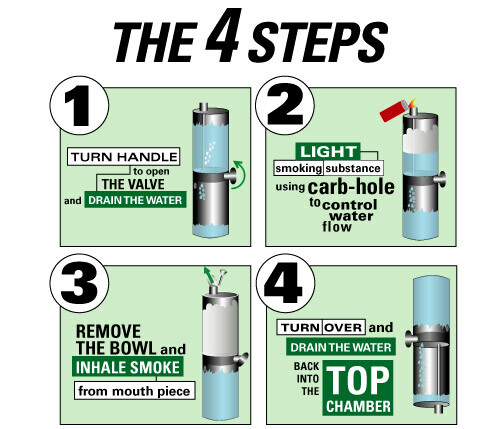 It's two-chamber design filters smoke through water producing a clean and cool cloud of smoke. You can control the water-flow to creat your own personal gravity hit.